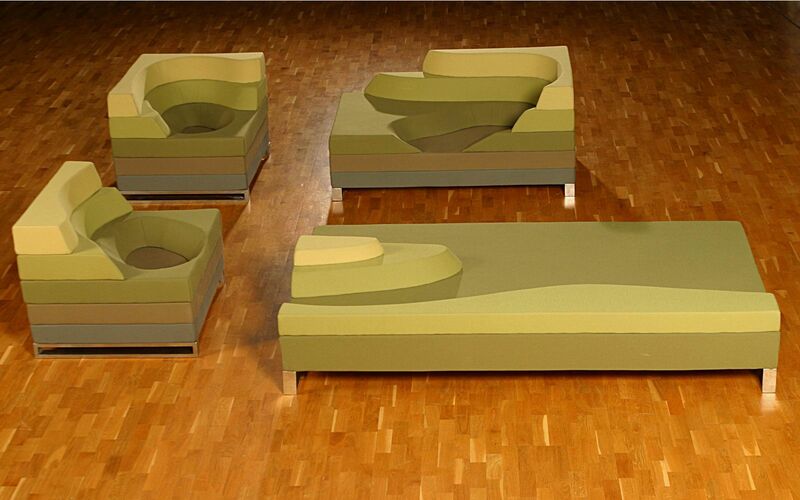 Koncern Studio decided to move some parts of the landscape in form of contour lines into the living room. The shape and color scheme of the original set is an authentic transfer of the contour lines from the tourist map. These armchairs, chaise-longue and all their mutations are a true imprint of the landscape of our childhood. This collection will be never closed in case somebody asks us to make his own landscape. We will gladly extend the collection following a supplied map.